Other websites have pretty photos - but we have the best prices, and we have availability when everyone else is full. We offer Thredbo & Jindabyne accommodation exclusively available via Ski Kaos. Many other websites are merely re-branding each other. Click on Availability & Prices above. Then open the up-to-date PDF lists of what we have and what the prices are. Once you have a good idea of what you want, click on Get Accommodation Quotes and fill out our quote-form. For Thredbo & Jindabyne Holiday Apartments, Ski Kaos is the place to come. Ski Kaos offers you great deals on Holiday Apartment accommodation in Thredbo & Jindabyne. 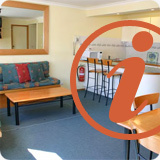 We have exclusively reserved several Thredbo & Jindabyne apartments so no one else will offer them to you.